The password strength indicator shows how strong your password is in relation to the password policy. The minimum requirements for the password are mentioned in the help text. You need a username to log in to Mahara. If your account is not managed by single-sign on or another authentication method, you see this box with your current username in it. You can change your username at any time. Your profile page is then accessible via the URL https://url-to-your-mahara-site/user/your-chosen-name. For example: https://mahara-university.org/user/paula. The original, internal Mahara URL, e.g. https://mahara-university.org/user/view.php?id=123 will still work. The general account options are visible to all users no matter whether you can change your username and password or not. However, some options are only available if the site administrator turned them on. HTML editor: An HTML editor is available for use in some sections of the site. This is known as a ‘What you see is what you get’ (WYSIWYG) editor. It allows you to apply formatting to your text like in a word processor. If the editor is turned off, you can only enter plain text without any formatting like making text bold or colorising your text. If you do not have this option, the site administrator may have disabled it. Default license: If the site administrator enabled License metadata in the general site settings, you can select your default license for your content that you create or upload. The default setting is “All rights reserved”, which means that you reserve all copyright. If you are a member of multiple institutions and choose “Use institution default”, you will not be able to select the institution whose license you want to make the default one. One will be chosen by the system randomly. Multiple journals: By default, you have one journal. If you set this switch to “Yes”, you will be able to create more journals. Once you have created a second journal, you cannot switch this setting back to “No”. Maximum tags in cloud: Decide how many tags you wish to display in your personal tag cloud in the sidebar in Pages and collections and Files. Maximum number of groups to display: Decide how many groups you wish to display in your sidebar. If you do not enter any value, no group will be displayed. Hide real name: You see this option if the site administrator allows users to hide their real name. If you switch this to “Yes”, others can only search for you using your display name. 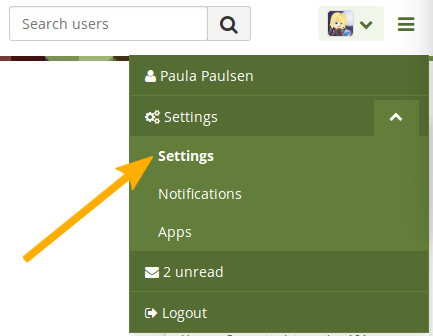 Dashboard information: Choose this option if you want to display the quick links on your dashboard. 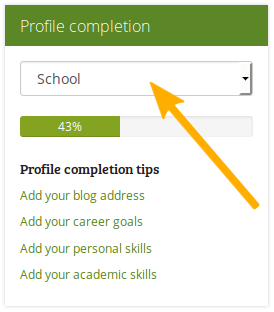 Profile completion progress bar: Switch this setting to “Yes” if you want to display the progress bar set up by your institution and tips on how to complete your profile. If you are a member of multiple institutions, you can switch between the individual institutions in order to view the respective sidebar. You can delete your own account by clicking the Delete account button on the top of the Settings page. Every account can be deleted. 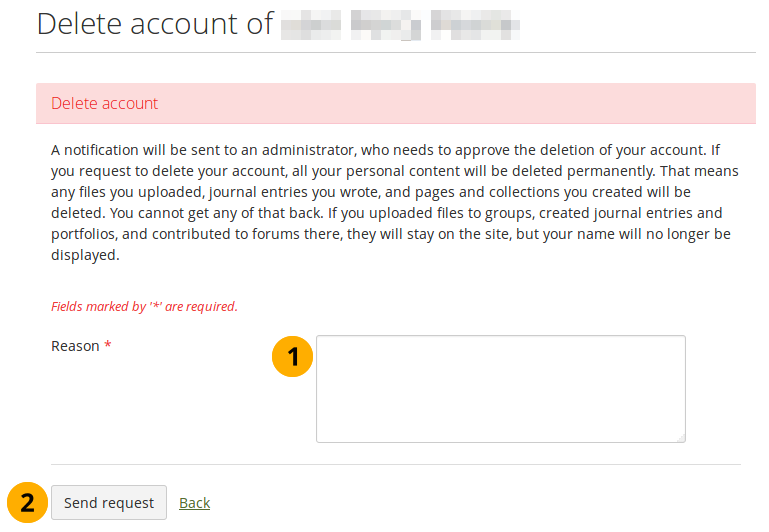 It is up to the administrators to decide whether a review is required before the content of a user account can be deleted fully. If the site or the institution administrator decided that a review is required before you can delete your account, you will need to provide a reason for wanting to delete your account. Enter the reason for deleting your account. Click the Send request button to request that your account be deleted. The site administrator or institution administrator if you are a member in an institution receives a notification about your request and can approve or deny it. On your account settings page, you can cancel or resend your account deletion request. Click the “Cancel request” button if you want to keep your account. Click the “Resend deletion notification” button if your administrator hasn’t deleted your account yet and hasn’t been in touch with any questions. The date is displayed when you requested that your account be deleted.